Improved profitability is the goal of every business, and gains in production, quality and safety are the key drivers of profitability. Thermo Fisher Scientific has developed a range of process, testing, and analytical solutions for oil and gas, mining, power utility, renewable energy, petrochemical refineries, aerospace and defence, steel, aluminum, plastics, rubber, and nonwovens manufacturers, construction and transportation, paper and pulp, pharmaceutical and semiconductor manufacturers, system integrators, water analysis facilities and more—all aimed at helping our customers achieve success by making business growth a reality. DataTaker is one of the world's leading brands of general purpose and specialised data loggers and data recording equipment. We supply to a broad range of customers across many industries including environmental, industrial, construction, manufacturing, process management, scientific, laboratory and education. Our data loggers are designed to be compatible with almost all types of sensors, with a strong focus on communications to make your data easily accessible. A variety of quality solutions to meet environmental simulation and weather testing needs. Whether it is the standard range of test chambers or custom designed instrumentation, we provide the most suitable products to meet your unique requirements. Testing capabilities cover temperature, pressure, humidity, thermal shock, stress screening, seismic / vibration, corrosion, solar / light / UV, altitude, xenon, flammability, solar simulation and carbon arc. The test and measurement product portfolio is complemented with reliable magnetostrictive linear position measurement system, strain gauges, general purpose and low profile load cells, both contact and non-contact torque transducers for use in industrial environments. All products are used for demanding applications in measurement, testing, R&D labs across Australia and New Zealand. A range of accelerometers based on MEMS (Micro-Electro-Mechanical Systems) technology that are cost-effective solutions across a wide range of applications. This technology is also used in the tilt sensors and forms the basis of the 6DOF gyro systems – including advanced calculated pitch, roll, heading and GPS versions. Electrostatic Discharge (ESD), Electromagnetic Compatibility (EMC) & Transmission Line Pulse (TLP) Systems. Verify that your products can withstand electrostatic discharge (ESD) events and other threats with comprehensive simulators and test systems that ensure your semiconductors, integrated circuits, and other electronic products are in compliance with national, international, and industry ESD and electromagnetic compatibility (EMC) test standards. Portable analytical instruments deliver instant, actionable data for quick decision making in critical situations. State-of-art technologies and easy-to-use interface provide fast, reliabkle chemical identification and material verification to reduce risks, ensure product quality and improve company profits. Process analytical technology solutions for pharmaceutical development and manufacturing. 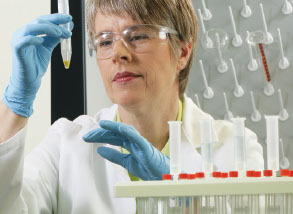 With applications that span the drug development process through to large-scale commercial production, we provide a broad range of products including single-use technologies as well as analytical instruments, cell culture labware and media, centrifugation, purification, and analytics for detection of process/product impurities and contaminants. Thermo Fisher Scientific offer a diverse range of pressure sensors and high precision laboratory and field portables to calibrate, commission and maintain today’s high accuracy process instrumentation, including HART and Foundation Fieldbus devices; as well as an extensive range of Depth and Level Sensors. With products from leading manufacturers like GE Druck, Honeywell, MTS Sensors and Paroscientific, Thermo Fisher Scientific can offer solutions for a wide variety of applications. Thermo Fisher Scientific represent industry leading technologies in temperature and humidity measurements. Scalable to your needs, GE’s reliable moisture and humidity multi-feature sensors and analysers offering high sensitivity and stability. Honeywell SmartLine transmitters are modular in design, making it easy to replace or upgrade hardware in the field. Testo Infrared (IR) thermal imaging portable meters are used to measure temperature of a surface without making any contact. Thermo Scientific™ density meters and easy-to-use density gauges measure density or density-related variables with highest precision at widest at widest temperature range. Ultrasonic and Vortex flowmeter solutions to accurately measure liquid or gas flow at a temperature range from -200°C to 600°C. Portable and fixed installation smart flowmeters provide superior performance under the most demanding conditions. Gas measurement and analysis improve process efficiency, reactor performance and assure safety in petrochemical, power generation and lean combustion applications. Thermo Scientific manufacture a range of advanced, easy to maintain process analysers for fast and efficient analysis of liquid and gas process streams to provide enhanced control resulting in significant cost reductions and improved product quality and compliance. We also represent industry leading manufacturers locally such as GE. Thermo Fisher Scientific offers a comprehensive range of displacement measurement sensors, from proximity probes to meet basic position control applications to Inductive distance sensors as well as linear variable displacement transformers. We also supply a range of sensors based on laser triangulation, fiber-optic and capacitance technologies for position, displacement and vibration measurement applications. Thermo Fisher Scientific offer a range of universal data loggers, data recording equipment, portable and benchtop data acquisition systems, multi-function data acquisition boards, wireless smart sensors and software to meet your specific application requirements.